2. an exclusive group; clique. 3. a group of prairie dogs occupying a communal burrow. 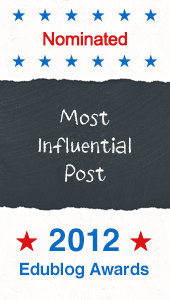 In late March, @SpeechGadgetDeb (Deb Tomarakos) posted to her blog about SLPs using Facebook to connect. Since she did a fantastic job there, I didn’t want to reinvent the wheel and she was gracious enough to allow me to repost her article here in a guest blog post of sorts. The original post was on her blog at SpeechGadget.com on March 26, 2011. She also has a fantastic list of Facebook pages you may want to ‘Like’ if you’re an S-LP. I am always trying to increase my network but keep a balance between knowledge gained and time spent. To increase my knowledge and share my knowledge, I Tweet (find me as @SpeechGadgetDeb), I blog (obviously), and read other professional blogs. I also use Diigo for bookmarking, although, I must admit I don’t use it as well as I could. If you want to read some in depth posts on building a PLN written by a wonderful SLP, you should visit Lexical Linguist. You can also readBuilding Your Personal Learning Network for a list of ways to increase your network. Recently, I decided that since I spend a lot of personal time on Facebook, I wanted to incorporate Facebook into my Personal Learning Network. The first step I took was to create a Speech Gadget page on Facebook. You can find my page by typing the words “Speech Gadget” in the search box at the top of your Facebook page. Next, I searched for and visited pages of professional interest to me. If I found the content to be of interest, I simply clicked “Like” and was able to receive updates to my wall when new information was posted on the pages. I am currently creating a list of pages that I Like and will share that with you all soon. In keeping with the idea of expanding my professional use of Facebook, I decided to create a professional “group” on Facebook. A group is a little different than a Facebook page. Within a group, members can connect, chat and share documents. You must be invited by a member to join, or you can send a request to join the group and be approved by a group administer. As a member of the group you can post links, photos, and videos, or just general comments and questions. You can also share documents, edit shared documents, and view documents that other group members have shared. Anyone in the group can view posts and respond. With this knowledge in mind, I created a Facebook Group called, of course, “SLPeeps” The name is a spin off from the SLP Twitter group with the Hash tag #SLPeeps. I even created a profile picture. Once created, I promoted the group on Twitter, sent some messages to my personal SLP friends on Facebook, and waited. Within a few weeks, the group has grown to just over 300 SLPeeps and I have been completely amazed. I love that people are starting to share resources and links. I have created a couple of documents to share with everyone and will be adding more documents in the near future. It is becoming a place where SLP’s can post questions and receive feedback from other SLP’s. Only time will tell if the group has staying power and if SLP’s will continue to use it as a part of their PLN’s. For now, I can say that I am satisfied that SLPeeps on Facebook is enriching my own PLN. 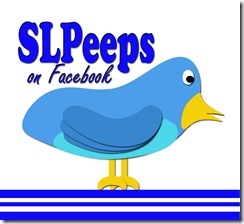 If you are a SLP who is on Facebook, please consider stopping by SLPeeps and request to join the group. You can find us by logging into Facebook and typing SLPeeps in the search box at the top of your Facebook screen. When you find the group, all you need to do is request to join. I would be happy to add your name to the growing list of professionals that are part of our group. Some members of SLPeeps have expressed an interest to be a part of the group, but not receive updates/emails every time someone posts to the group. If you would like to belong to the group, but don’t want to get updates, you can modify your settings. When you are on the group page, you will see a box in the upper right had corner that says “Settings.” Click that box and you will find a pop up box. Inside the pop up box, simply uncheck receive emails. 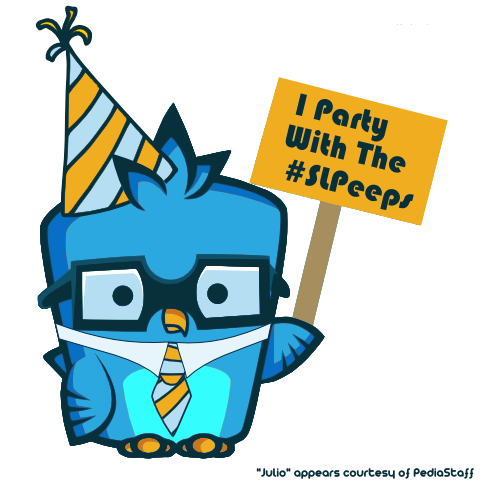 If you have already joined SLPeeps, and follow my blog, I would love to hear your thoughts or feedback. Are there any other ways you use Facebook as a part of your PLN? If so, we would love to hear your comments. Great post! Maybe I should start using facebook more…I’ve largely abandoned it for twitter.